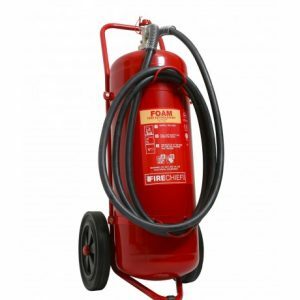 All extinguishers can be housed on mobile trolly units or wheeled up to 50k Powder or 50 Litre Foam. 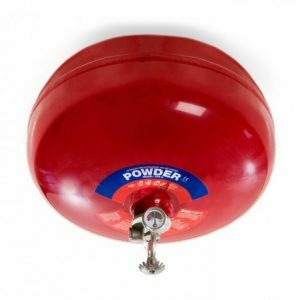 Automatic Powder: Safe for Wood, paper, fabrics, flammable liquids, gaseous and electrical fires. Wet Chemical: Safe for wood, paper, textiles, cooking oils and deep fat fires. 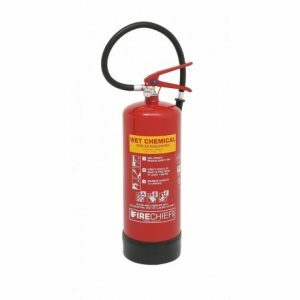 Unsuitable for flammable liquids, gases and live electrical equipment. 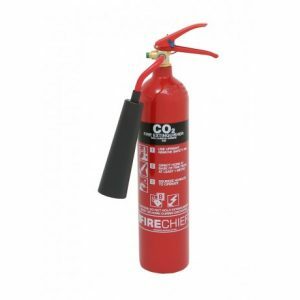 Carbon Dioxide (CO2): Safe for flammable liquids and live electrical equipment. Unsuitable for wood, paper, textiles, flammable metals. 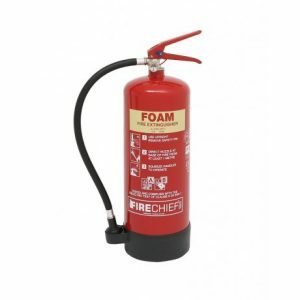 Foam: Safe for Wood, paper, textiles, flammable liquids. Unsuitable for electrical or flammable metals. 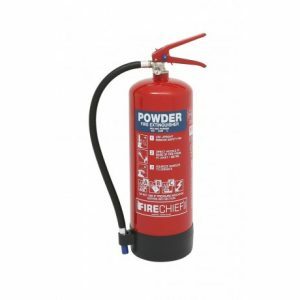 Powder: Safe for Wood, paper, fabrics, flammable liquids, gaseous and electrical fires.